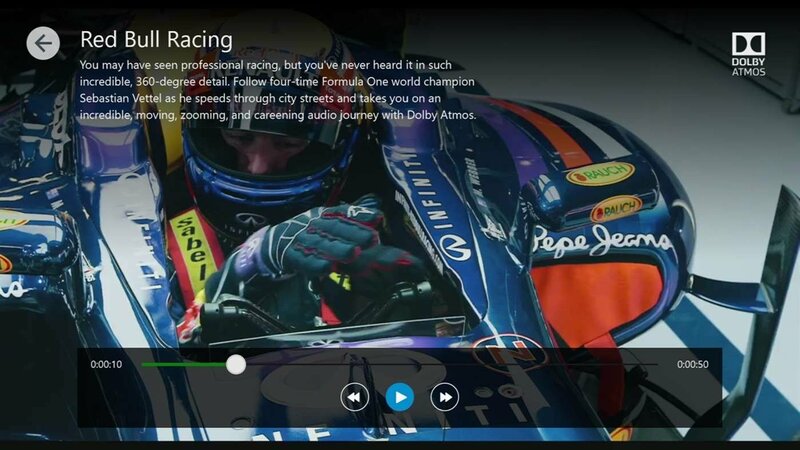 Dolby is well known by all fans of high-quality audio. It's usually present in the majority of movie theaters, putting the viewer in an atmosphere full of surrounding sounds. 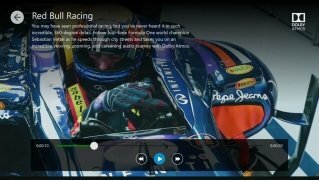 Now, we can also enjoy it at home, thanks to this application that we can download and try out for free. 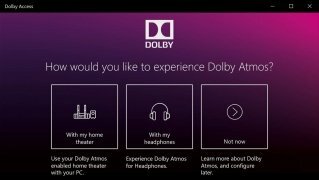 With this application, we can configure our computer to support Dolby Atmos (spatial sound) being able to enjoy a 3D surround sound experience, both for movies and video games. 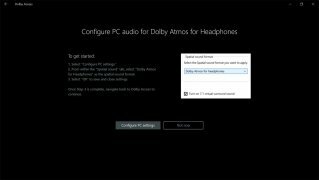 If we've got Windows 10 or an Xbox One, we can download it and use it both with headphones and external audio systems via HDMI. 5.1 or 7.1? Enjoy the best sound however you like. 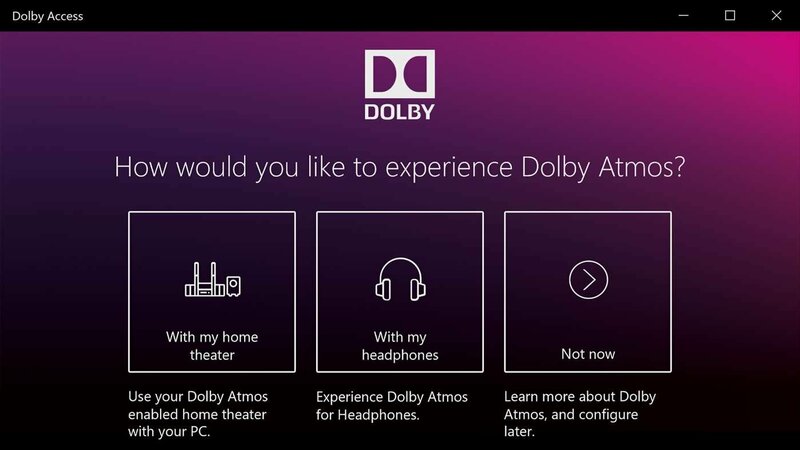 Enjoy the Dolby Atmos experience on your PC or console. Configure both headphones and external hardware with Dolby support. Greater realism for your gaming experience. Greater immersion when watching movies. 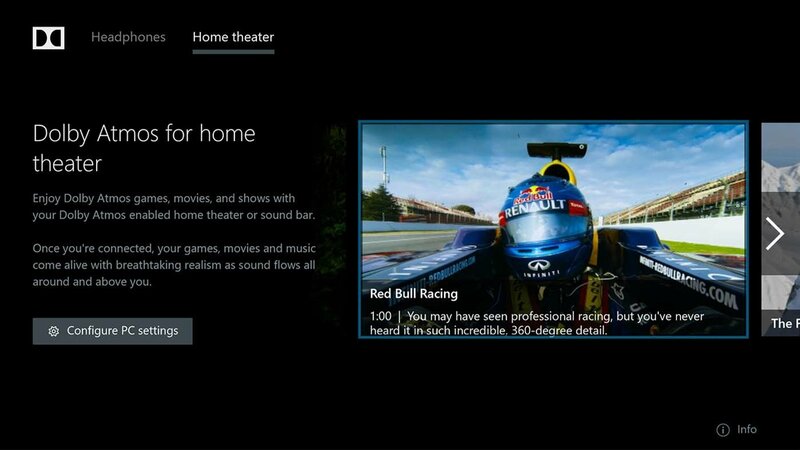 Microsoft should have implemented this option free of charge.